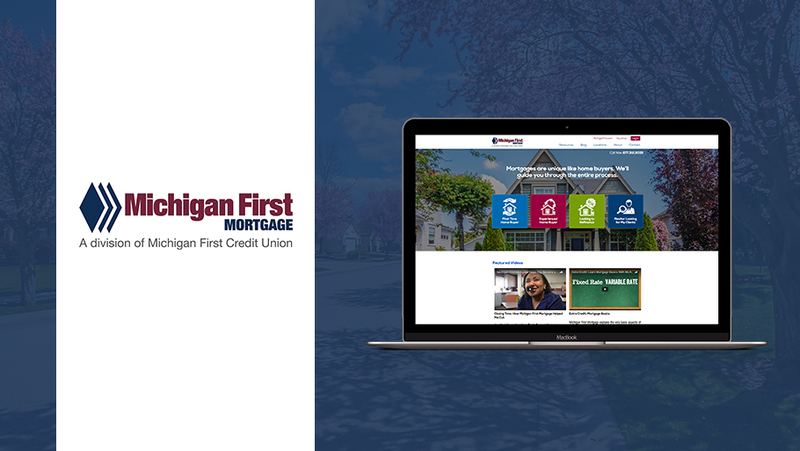 Media Genesis worked with Michigan First Credit Union to create a website for their Mortgage business after acquiring Watson Group Financial. The goal was to consolidate the websites and create consistency between the brands. Before the design work started Media Genesis held an AMA (Audience/Message/Action) workshop with the client. From the information gathered Media Genesis determined target audiences, defined key messages and desired actions for users who visit the website. That information was then used to develop a question and answer design concept for the homepage. The user is first identified by their selections and then filtered to the appropriate section within the website. The website is designed to provide quick and easy access to mortgage information, contact information and provides helpful resources such as a mortgage calculator, videos and checklists.